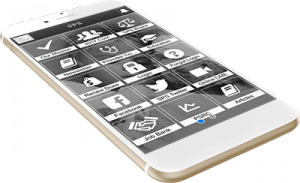 SPS Sedation Provider Course® 2018 Update and Beyond: The Future is Bright! SPS Online Education Needs You! We’re starting the New Year with an issue devoted to a topic fitting to beginnings—education! Education is one of our “mission critical” endeavors as a society, and 2019 will mark a banner year for SPS sedation education. We are celebrating the 10th anniversary of the SPS Sedation Provider Course® with a comprehensive upgrade and expansion, with the goal of making the course better and easier to disseminate. Details of the upgrade will be provided elsewhere in this issue, and I encourage you to read all about it. In addition to the Provider Course, the SPS provides several other forms of education. On-line lectures and continuing education credit are available for both physician and nurse members. At the time of this writing, our society offers six hours of physician CME and three hours of nursing CE, on a range of topics including anaphylaxis and sedation, sedation-related agitation, capnography, intranasal administration of sedatives, etc. In addition to the education for credit, our website links to nearly two dozen relevant lectures and articles covering a broad swath of sedation-related topics. 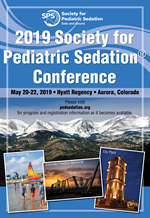 On a grander scale than individual lectures, I remind you that our society takes pride in offering a state-of-the-art multidisciplinary educational conference every year, this year to be held in Denver, CO. And, for those of you who don’t know, we’ve recently published a comprehensive guide, The Pediatric Procedural Sedation Handbook. All of these offerings represent many hours of hard work by dedicated members of the SPS. In order to maximize the benefit and justify this hard work, we need YOU, our members, to take advantage of these offerings and educate others about them at every opportunity. Make sure your residency and fellowship directors know about our society, and encourage use of our educational offerings for training future hospitalists, intensivists, and PEM docs. Educate your Magnet teams and Quality Officers about our society–when it comes to regulatory inspections and provider credentialing, our educational offerings provide a fantastic opportunity to boost your review portfolios. 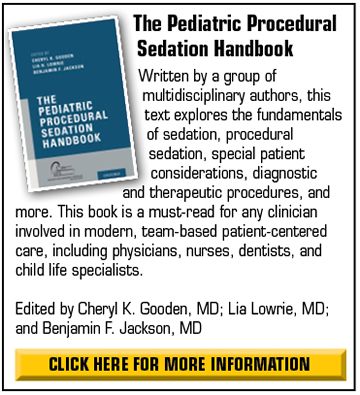 Buy copies of our Sedation Handbook for your team or students (National Nurses Week and resident/fellow graduations are coming before you know it). 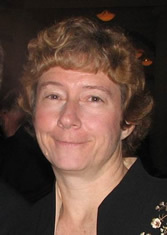 If you have any questions about any of our educational offerings, or better yet, if you’d like to be more involved in the creation, improvement, or implementation of pediatric sedation education, please contact the chair of our education committee, Anne Stormorken at educationcommittee@pedsedation.org.